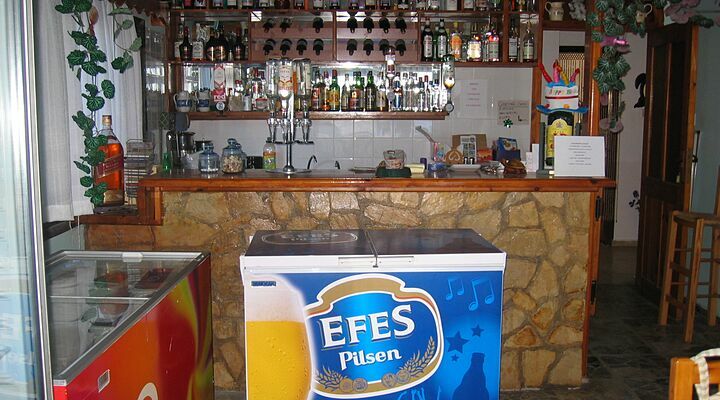 A 3 star hotel near Esentepe. 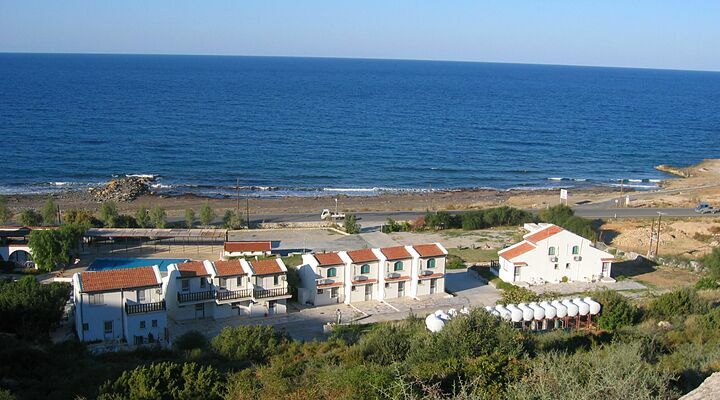 Situated right on the coast, just 10 minutes drive from the Korineum Golf Club. 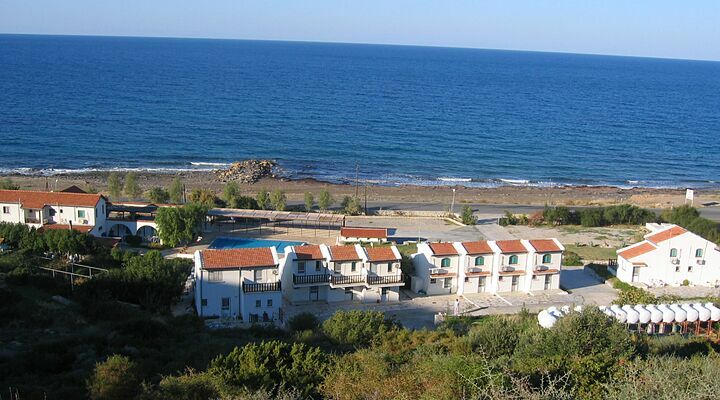 Set just yards from the shore, and nestling in a natural curve in the surrounding hillside, the Alkan Holiday Village may not look stunning from the road, but it offers straightforward North Cyprus hotel accommodation at a budget price and for those who like to explore. 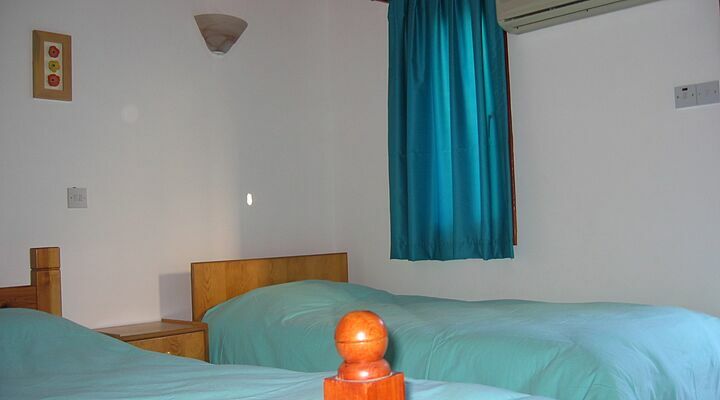 The White washed galleried bungalows at the Alkan Holiday Village features an upstairs bedroom and ground floor lounge and kitchen, plus private shower room, so you'll have plenty of room to relax. 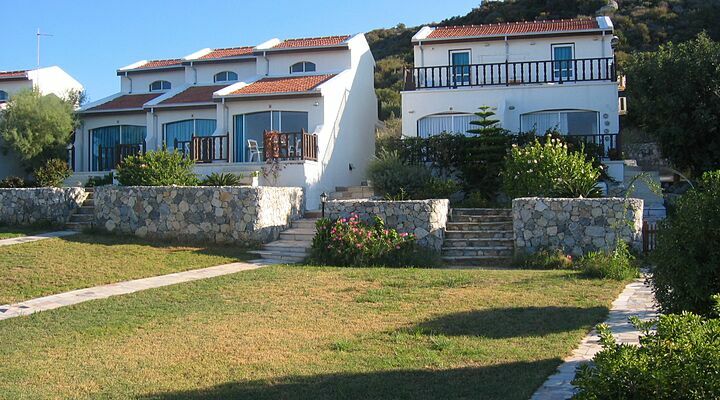 All bungalows face the shimmering Mediterranean Sea and have views to the back of the rugged mountains. 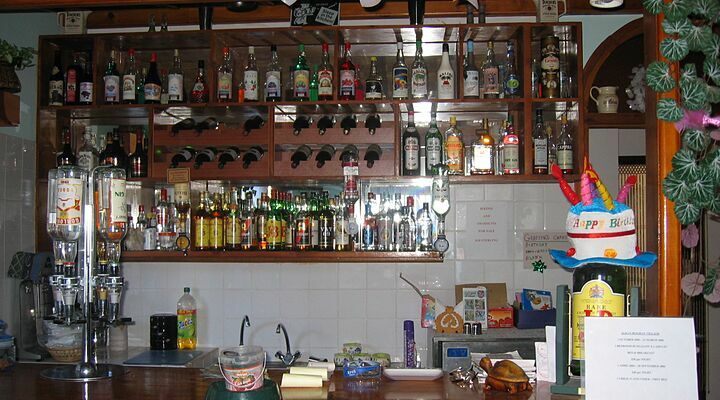 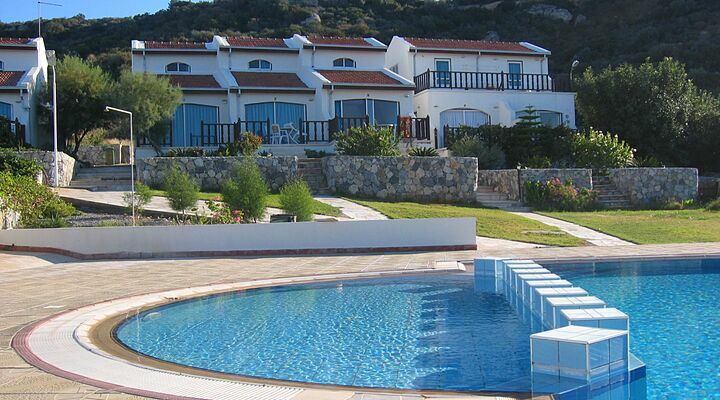 This basic but comfortable complex is reflected in the price of this budget North Cyprus accommodation. 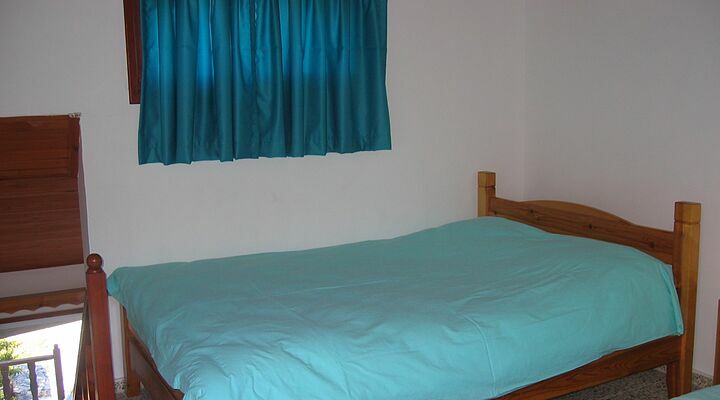 It's not fancy, it's not luxury, but it is terrific value! 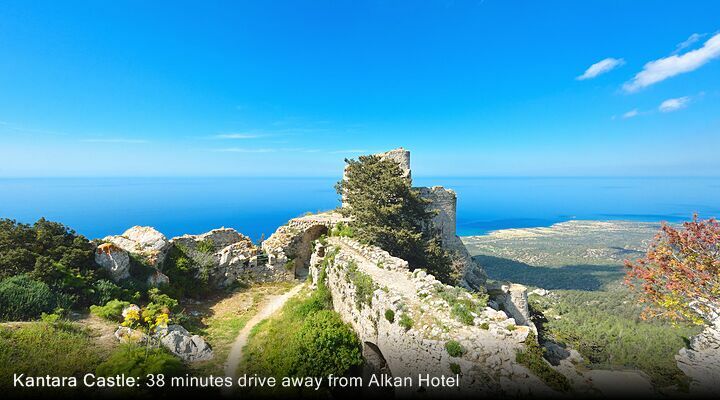 Book the Alkan Hotel online now or get a free quote using our instant quote form - it's just on the right of this page. 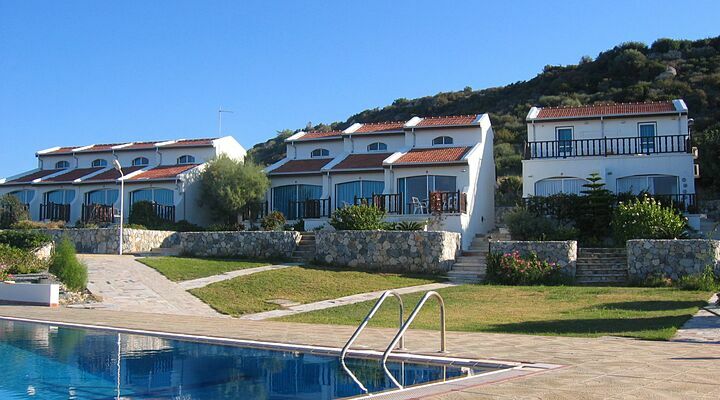 1 Minute Walk to the Beach or Laze by the Pool? 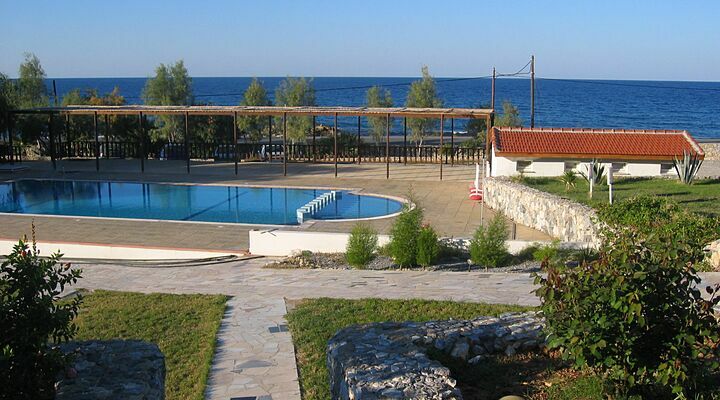 At the Alkan Holiday Village, you can chill out beside the swimming pool in the shade of the loggia, or walk across to the beach opposite, a natural ribbon of black sand with breakwaters and rocks to explore for the kids. 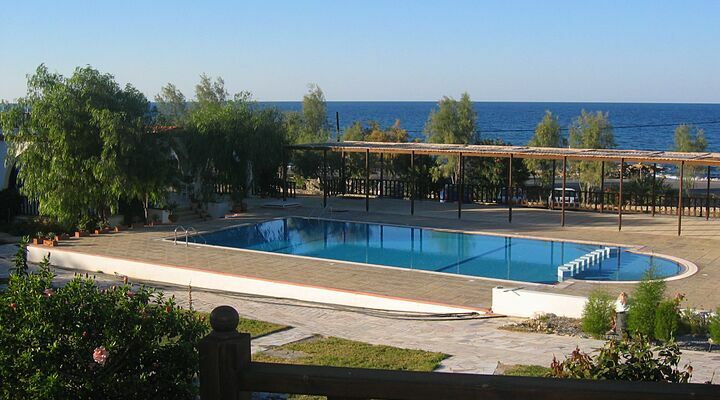 No beach bars, no thumping music, no noisy watersports, just waves lapping the sand, the warm North Cyprus sunshine and a horizon that stretches for miles! 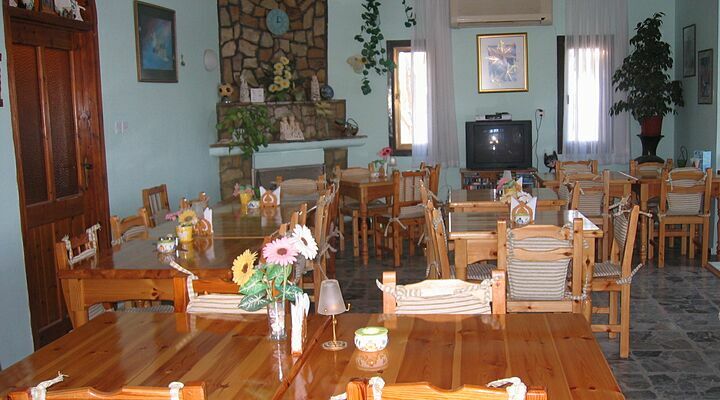 Enjoy authentic Cypriot cooking at the onsite "Amore" Restaurant, where In winter, the restaurant and bar are warmed by a roaring fire. 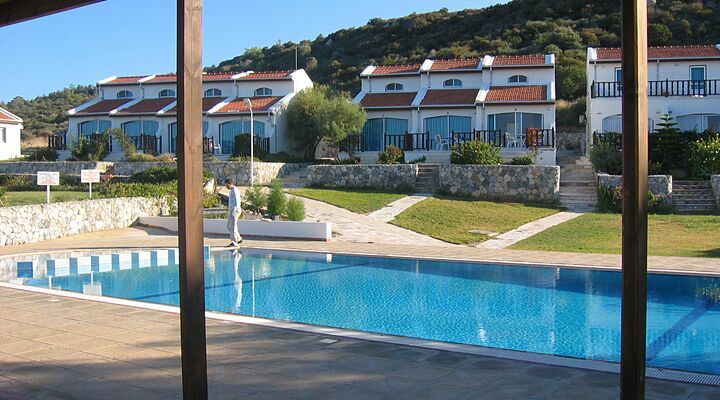 There's also a library of books to borrow, and free wi-fi access for all guests. 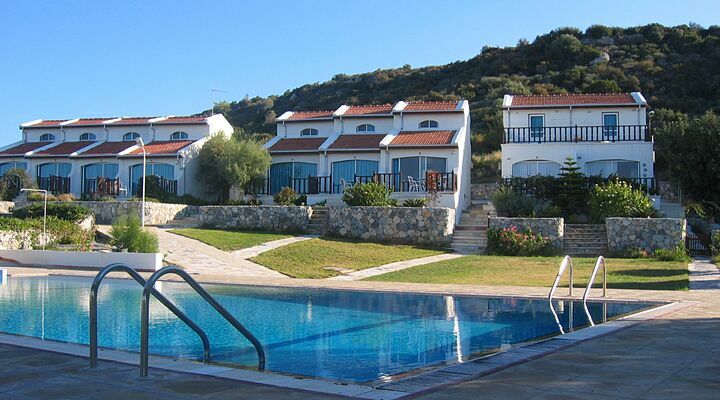 The Alkan Holiday Village is only a 10-minute drive from the beautiful Korineum Golf & Country Club. 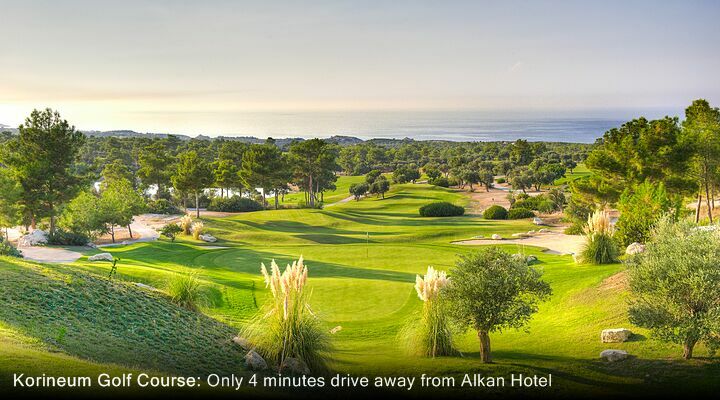 With its 18 holes set amongst olive groves and mountain scenery, this international-standard golf course is a must play for any keen golfer. 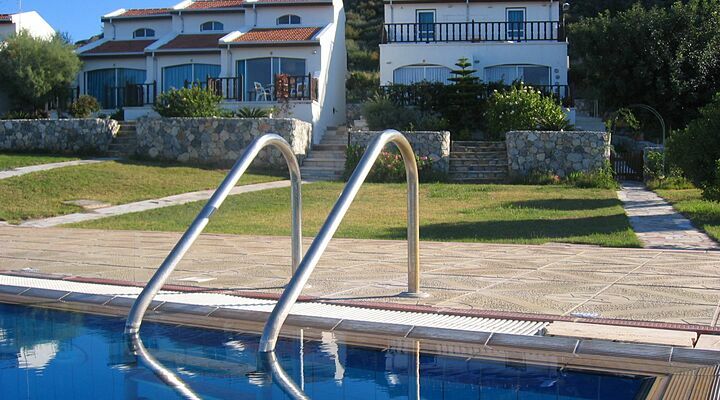 While you play, the rest of the family can enjoy the club’s swimming pool, spa and clubhouse bar and restaurant. 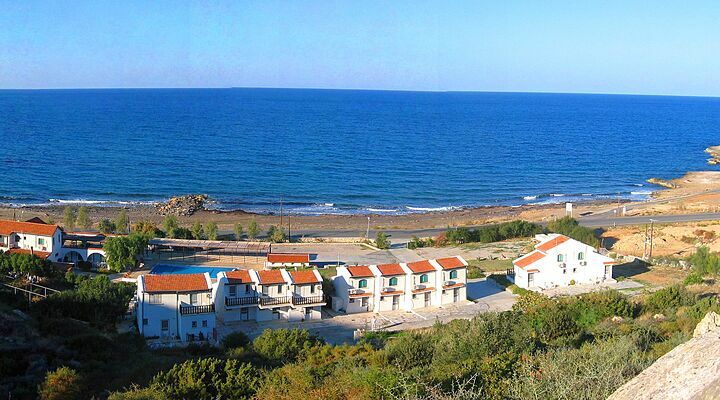 Esentepe is ideally located on a quieter part of the North Cyprus coast, within easy drive of the pretty harbour town of Kyrenia along the new coast road. 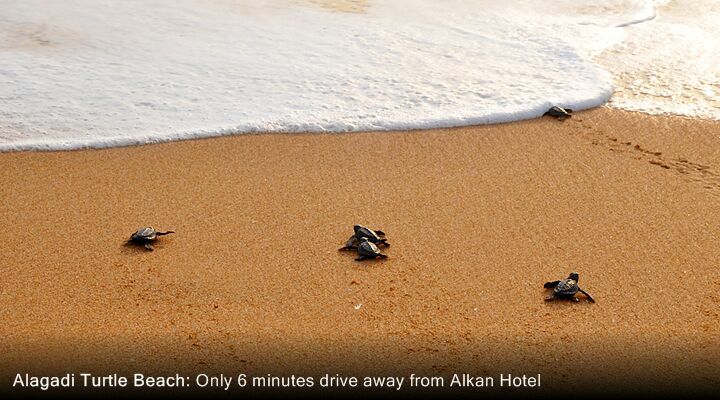 Watch newly-hatched turtles scrabble to the sea at nearby Alagadi Turtle Beach, discover ancient Monastery’s and ruins of Kantara castles in the mountains just a short drive away, or shop for supplies in the winding streets of Esentepe village. 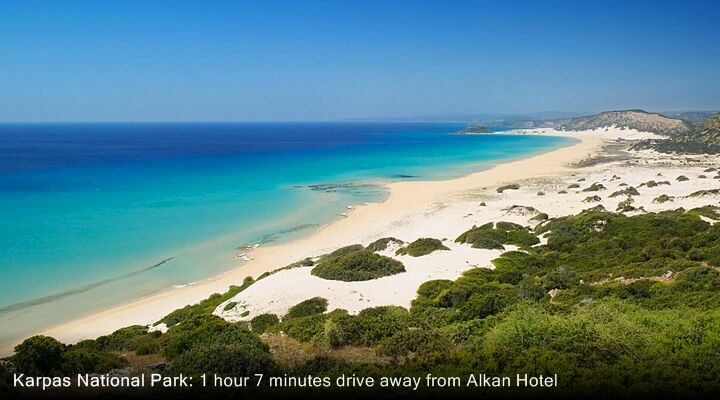 At the Alkan Holiday Village, you can choose between flights to Ercan Airport in North Cyprus, just 30 minutes’ drive away by private transfer. 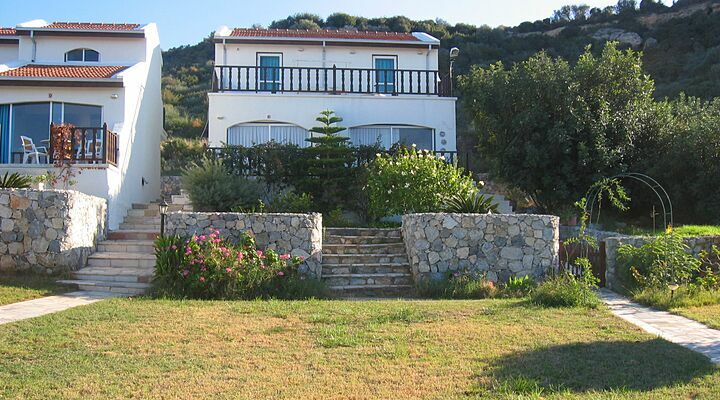 Or you can fly into south Cyprus and take advantage of the quieter back roads and recently-built mountain road pass for faster taxi transfer times between Larnaca Airport and Esentepe.